1.) 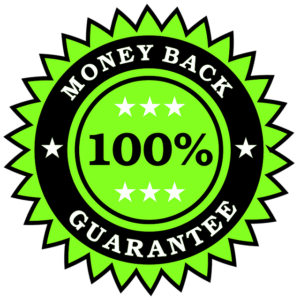 When you purchase a product from us, you are covered by a 30 Day no questions asked Money Back Guarantee. 2.) If you are not satisfied with your purchase, please contact us and we will initiate a refund on your behalf. Refunds in many cases will take approximately 7 working days to re-appear back in your account. This time frame is subject to / determined by inter-bank transfers and may vary upwards or downwards. Before seeking a refund, we recommend you seek to on-sell your purchase as this gives you a way to profit whereas a refund does not.